The British Lionhearts edged closer to making the final of this year’s World Series of Boxing last night (Thursday 26 May), with a 3-2 win over the Astana Arlans of Kazakhstan in the first leg of their semi-final at York Hall. Unanimous victories for light-flyweight, Galal Yafai, light-welterweight, Pat McCormack, and Croatian heavyweight Fillipi Bepo gave the British team a narrow advantage ahead of tomorrow night’s second leg at York Hall. 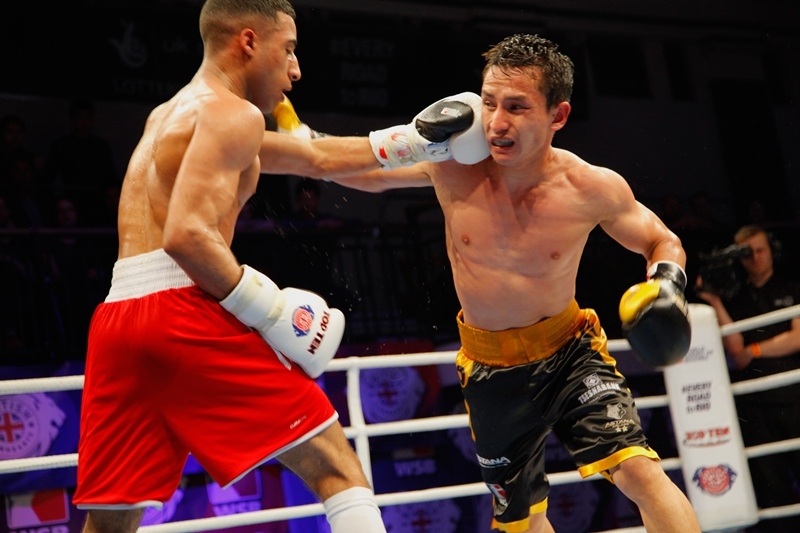 It could have been an even better night for the Lionhearts against the reigning WSB champions as both of the team’s defeats were by split decision as bantamweight, Peter McGrail and middleweight, Troy Williamosn were denied victory by the finest of margins. Tomorrow night’s fixture will feature five bouts at flyweight, lightweight, welterweight, light-heavyweight and super-heavyweight. The team features Luke McCormack (lightweight), Josh Kelly (welterweight) and Frazer Clarke (super-heavyweight) from the GB Boxing squad along with international selections, Koryun Soghomonyan (flyweight) of Armenia, and Radoslav Pantaleev (ligh-heavyweight) of Bulgaria. The Lionhearts need to win three bouts to secure victory and a place in the final. If the scores are tied at 5-5 there will be a box-off at flyweight. Tickets for Friday night’s second leg quarter-final at York Hall are available at http://tickets.sky.com/Boxing/World-Series-of-Boxing. The match will also be shown live on BoxNation at 8.00pm.